CHOTiCHA provides both retail packages and wholesale packages. The retail packages available in 2 sizes which are 50 g and 100 g resealable foil bag. The wholesale package is 500 g non-resealable foil bag. This Tester Display will make it easy for your customers to choose the tea they like. It composed of 6 glass bottles with airtight black lids. Place it on your point of sales to encourage your customer to have a try of each scent. The storage tin are air tight with single or double lid. The tea should be kept away from air, light and water to prolong their shelf-life up to 2 years. Either you are tea room or tea related business, you might need something to represent your professional and passion. The Display Tins come in black and cream metal tin and glass. All tins can contain up to 1 Kg of black tea. One side of the spoon is to measure the tea for a pot in which another side is for a cup. The spoon helps you cutting off the measuring process and saving your operation time. We are a distributor of KINTO in THAILAND. Please check their website for items you interested in and email us your inquiries. For stockists, please also feel free to call for the wholesale quotation. Our accessories have a wholesale price for our business partners to resell to their customers. Please contact us for more information and proposal. For retail buyer, please visit www.theteawarehouseshop.com. We conduct the tasting session privately in order to give our customers a chance to experience all of our products. In the other way round. we can get to know our customers, their preferences, their businesses and their requirements. This session is conducted informally and free-of-charge at the warehouse. Please contact us to request your session and appoint the date and time. We provide the product details and recipes for our partners. Staff Training is a service for our partners who would like to train their staffs the basic information about Tea and Infusions and how they could use, serve, and store the loose leaf. 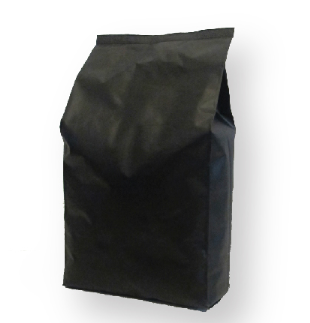 We have OEM services in which we will customize or select the blend and pack the product under our customer's own brand. We can help you from sourcing the most suitable packaging, label design and printing, inner and outer packing to delivering the final products which are ready to sell. If you need our products to give to other as a gifts in any occasions, we can help you search, design and product the gift packages with your own concept and brand.